The Blackhawks superstar is coming off a fantastic 88-point regular season and has had a sold postseason, scoring 21 points in the first three rounds. But in the first two games of the Finals, Kane has no points on just five shots and is minus-three in the series. 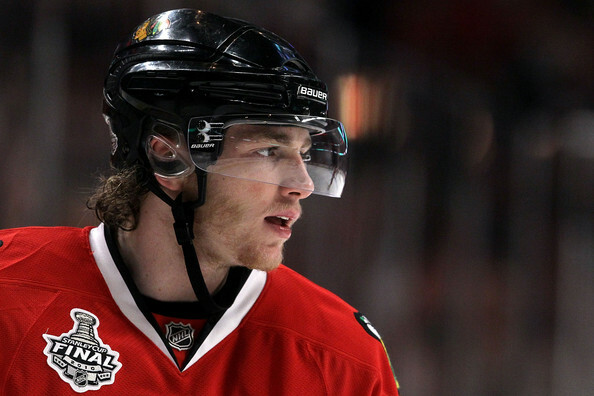 Is Kane wilting under the bright lights of the Stanley Cup Finals? It’s hard to remember, after watching him play very well for three years in the NHL and after him already having a Calder Trophy at home, that Kane is still only 21 years old. He was the top overall pick in the 2007 draft ahead of James van Riemsdyk, who was a healthy scratch by the Flyers for Game Two after he struggled in Game One. Van Riemsdyk has now only played one season in the NHL to Kane’s three, but they were considered options 1A and 1B in that draft class. Because Kane hasn’t been on a Stanley Cup Finals stage before, there isn’t an NHL track record from which we can pull perspective. There is, however, another big stage from which we can look to see how Kane performed under the brightest lights in the sport. 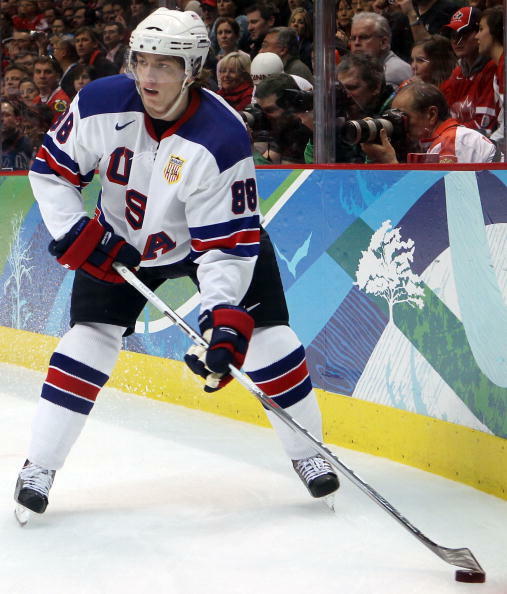 Kane had a similar beginning to the tournament in the 2010 Winter Olympics to what we’ve seen in these Finals. In the first game of the Olympics, Kane skated a turnover-filled 18:22 and subsequently saw the American coaching staff move him around the lineup in the following games. His minutes were cut into the mid-16s and he continued to work to find his niche in the game. Through four games in the Olympics, Kane had an even plus-minus and had only one point, a goal, on 14 shots. As the tournament progressed, Kane started to find his legs. He got more comfortable with the puck with each game, and started to have more success creating and finding space. When the USA entered the medal rounds, Kane displayed the special flair he has shown Chicago fans for the past three years. Against Finland, Kane led the Americans with two goals and was plus-two. When the medal stand was in view, Kane again played well against Canada, contributing two assists and again rating plus-two. Just as he did in the Olympics, Kane had a bad first game in the Finals. He struggled to control the puck when he got it and had more turnovers than usual. Despite the 6-5 final score, Kane’s line (with Jonathan Toews and Dustin Byfuglien) ended the game minus-three each. After Game One, Kane admitted there were some nerves. In Game Two, though, Kane was visibly more effective handling the puck and creating space for himself and teammates. He has still only taken five shots in the series, but his ice time increased by almost three minutes from Game One to Game Two. Kane has always loved the camera and the bright lights of the NHL. If the Olympics are the best measuring stick we have to evaluate Kane’s performance when the lights are brightest, there could be good things to come in Philadelphia from Chicago’s leading scorer. ← Committed Indians – Versus Blackhawks Roadwatch Party!